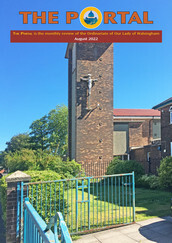 Members of the Personal Ordinariate of the Chair of St. Peter will have received their copy of the Ordinariate Observer in the mail, and it’s chock full of good news about how we are growing and where. 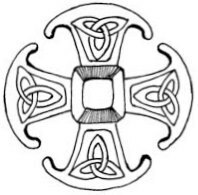 I have been working on an paper for a book scheduled to come out next fall to mark the 10th anniversary of Anglicanorum coetibus. It’s been a lot harder and more demanding to do than I had thought and that on top of my journalism work is the reason for light blogging. The topic for my paper is lay initiatives to promote Anglican patrimony within the Ordinariates, and to that end I have done many interviews with people who took it upon themselves to do something in this vein. Of course I ended up with far more material than I could ever use for a 4,000 word article, so I hope to use some of that material here when the deadline crunch is over. As I surveyed all these interviews and have begun the boiling down process, I could not help but feel excited and encouraged by how much is going on at the grassroots level. We have so much to be thankful for as Catholics of Anglican tradition, and there’s so much going on in terms of prayer, music, social media, literary patrimony, I won’t be able to fit everything in. Meanwhile, I would encourage Anglicans who are still discerning whether to become Catholic to consider joining us at the Anglicanorum Coetibus Society. Our mission is to promote the Anglican tradition and common identity in the Catholic Church for the purposes of evangelization, education, deeper conversion and the glory of God. Without excluding liturgical celebrations according to the Roman Rite, the Ordinariate has the faculty to celebrate the Holy Eucharist and the other Sacraments, the Liturgy of the Hours and other liturgical celebrations according to the liturgical books proper to the Anglican tradition, which have been approved by the Holy See, so as to maintain the liturgical, spiritual and pastoral traditions of the Anglican Communion within the Catholic Church, as a precious gift nourishing the faith of the members of the Ordinariate and as a treasure to be shared. If one is a clergyman or a lay person eligible for membership in the Ordinariate, the Society hopes you will consider forming a patrimonial group. It is as simple as holding a monthly Evensong at a fixed time and location and letting us know so we can put you on the map at our website. The Church’s One Foundation was one of my favorite hymns in the run up to our community’s becoming Catholic in 2012. Of the Church we must always say with St. Paul that her one foundation is Jesus Christ her Lord. Moreover, we must recall and acknowledge that her Lord promised to build his Church on the petra of Peter confessing Christ. Yet today we must also say, as the nineteenth-century Anglican hymnist, Samuel John Stone, said, that we “see her sore oppressed, by schisms rent asunder, by heresies distressed.” Indeed, we must confess that once again, in the words of the fourth-century saint, Basil the Great, her “distresses are notorious,” that “their sound has gone out into all the world,” that “the apostolic traditions are set at naught [and] the devices of innovators are in vogue” (Ep. 90). Doctrinally, liturgically, and morally much of the Catholic Church – to say nothing of the Orthodox churches or of Anglicanism and the ecclesial communities of the Protestant world – seems to be in the hands of innovators. What good is “red-pilling” anyway? There’s a lot of talk about in social media about “red pilling” on this or that about the Catholic Church. The red pill vs. blue pill is from the movie the Matrix, where the main character is offered a red pill that would enable him to see the reality behind the false dream construction he lives in; the blue pill would enable him to stay “asleep” to reality and remain in the dream. Let’s say the red pill does wake one up to disconcerting realities of sin in the Church or contradictions in teaching. How obligated are we to pass this on to others who are content in their Catholic faith and going about their business, that is, if they are not mired in sin or another Gospel? People “red pilled” after becoming scandalized, confused or upset by this or that and start looking for answers to confirm whether they are in fact crazy or not. There is a lot out there in the Catholic internet to confirm almost any reaction, for good or ill.